An opening reception will take place on Tuesday, Nov. 10, from 5-6 p.m. in the Lied Art Center; the artist will present a lecture from 6-7 p.m. in the Lied Art Center Room 102. The exhibit, reception and lecture are free and open to the public. For more information, please call (509) 777-3258. The work of John Holmgren explores connections to and experiences of place, landscape, environment, time and memory. He often uses mixed media in his work to suggest the layering of information we compile within our experiences and our memories. The layering in the work is an attempt to bring the viewer into his or her own complicated experience of these places and to suggest the complexity of how we come to know a place. The selected pieces in this show are from three bodies of work. One is River Relations: A Beholder’s Share of the Columbia River Dams, a collaborative body of work by Holmgren and Nick Conbere. Through their collaborative documentation and interpretation, they aim to explore parallels among various places and histories along the river, suggest patterns and relationships, and facilitate documentary, metaphor, and allegory in considering the presence of the dams. 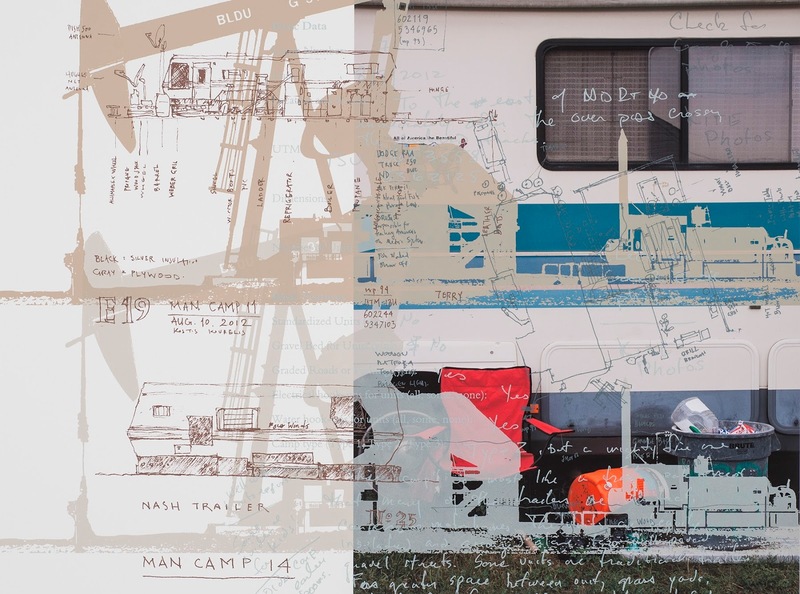 The second is entitled Man Camp, which is a look at how the oil boom in the Bakken of North Dakota has affected the need for housing in a rapidly expanding and transitioning population. The third is District of Penguins, which uses archived publications from James Cook, Ronald Amundsen, Charles Wilkes, William Reynolds, Robert Scott, Ernest Shackleton and Richard Byrd. 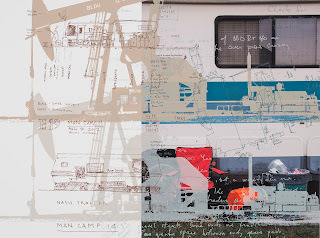 In this work, Holmgren combines journals, texts, maps, drawings and photographs from their expeditions with his own documentation of his personal experiences in Antarctica. Lance Sinnema, gallery director and senior lecturer, Whitworth University, (509) 777-4513 or lsinnema@whitworth.edu.